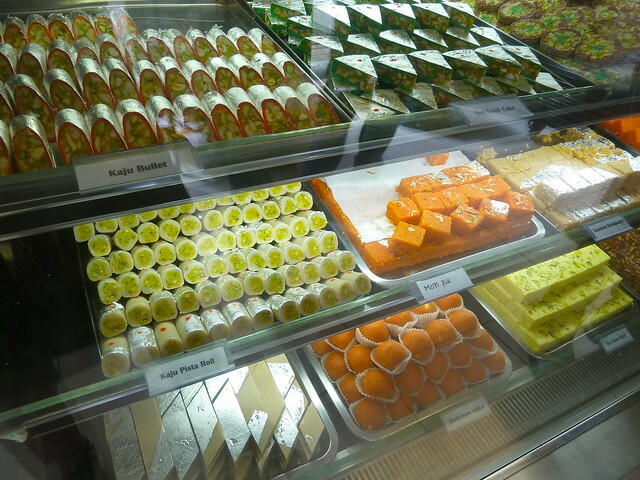 Can be found right here at Sweet India's counter. I wish I could tell you that I am in the habit of cruising lonely industrial estates in the outer suburbs (well, actually, I am glad that I cannot tell you that!) but this was a tip-off from my dear friend Sue. She told me tales of how at festival times on the Indian calendar, the lines outside this Hoppers Crossing factory snake right down the block. 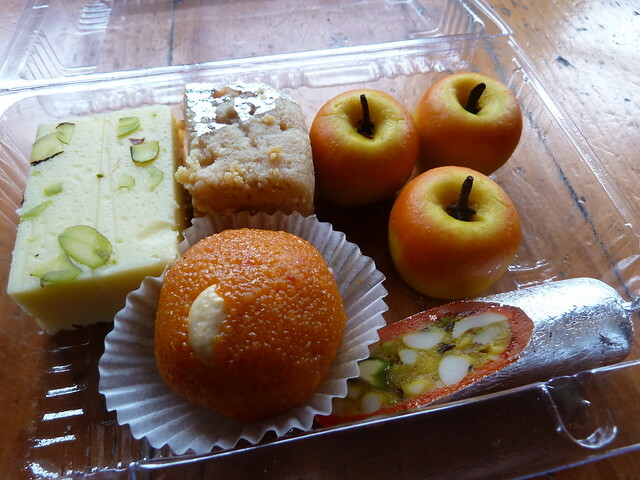 Sweet India make all their Indian sweets and savouries on the premises, just out the back. To get served, you grab a deli-counter style ticket before picking and mixing the sweets you'd like. Remember getting mixed lollies as a kid? This is just as fun! ...or the ones on the top right, like big chunks of sweet salami. 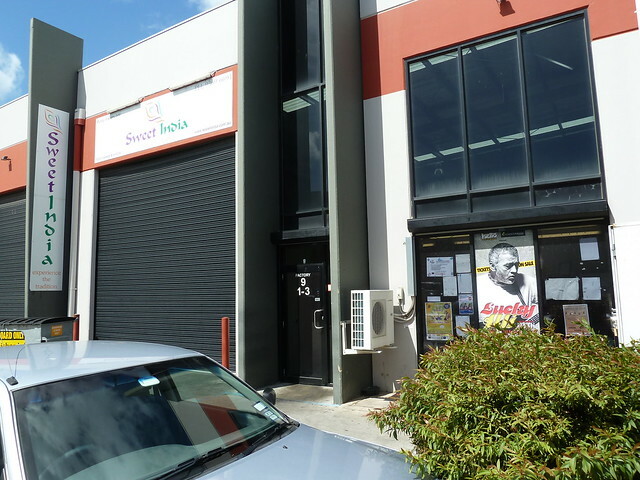 When I was writing this story, I had a great chat to Venkat Kollu, who is director of marketing at Sweet India. He is very proud that all the sweets are made with whole milk that is reduced to the required consistency (a laborious process by all accounts) versus using shortcuts like condensed or evaporated milk. 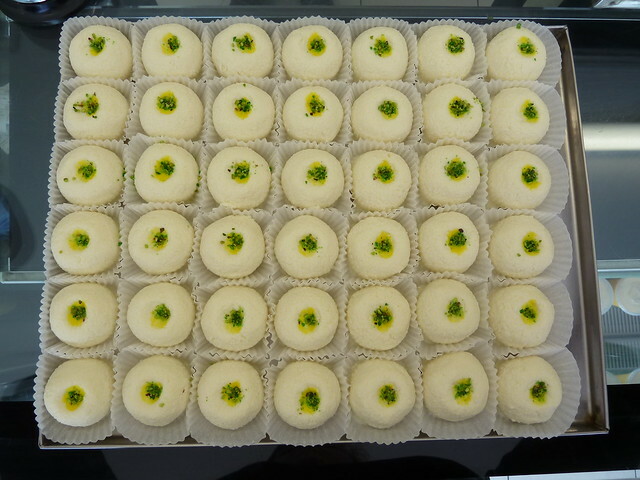 Sweets in India have regional variations, and Sweet India aims to cater to all. 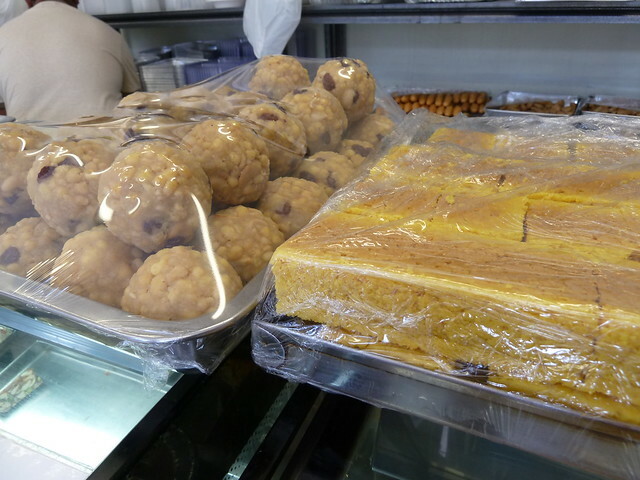 The south is represented by these laddoo, studded with raisins (on the left in the pic above), as well as Mysore pak, a fudgy variety made with ghee and lentil flour. 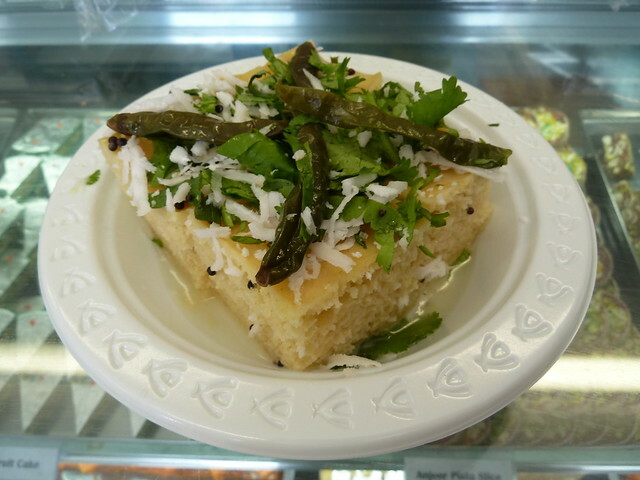 Venkat let me try some dhokla, a specialty from Gujurat in the west. In this part of India, folks particularly enjoy the contrast of sweet and savoury flavours. 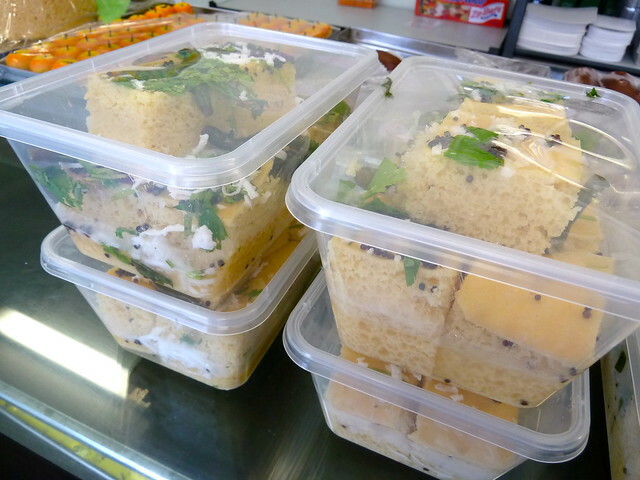 This is a cool, spongy, savoury cake made of chickpea flour, served in a sweet/tangy dressing and dusted with mustard seeds, green chillies, coriander and coconut. Very different and very delicious! 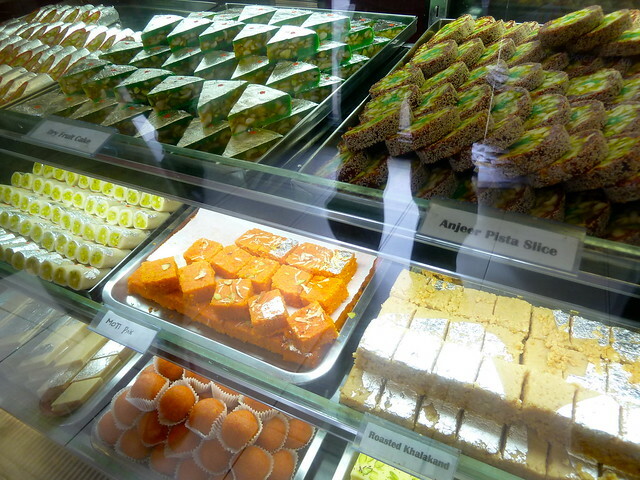 Sweets from eastern India are a weekend-only affair at Sweet India. 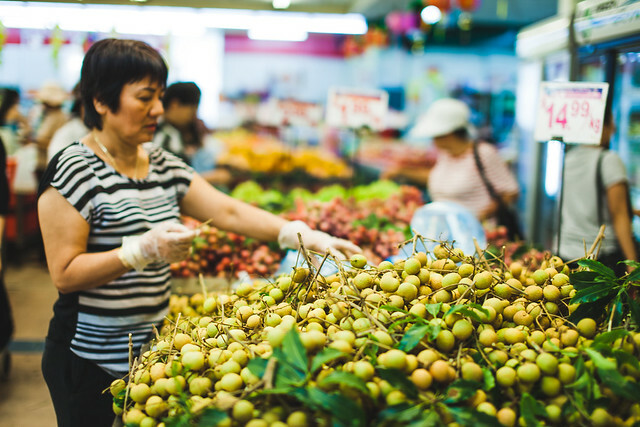 This region likes its sweets very juicy and moist, which means they have a shorter shelf life than fudge-like burfi or Mysore pak. I loved these katcha gola - don't they look like the most divine hors d'oeuvres, like little quail's eggs sprinkled with parsley? 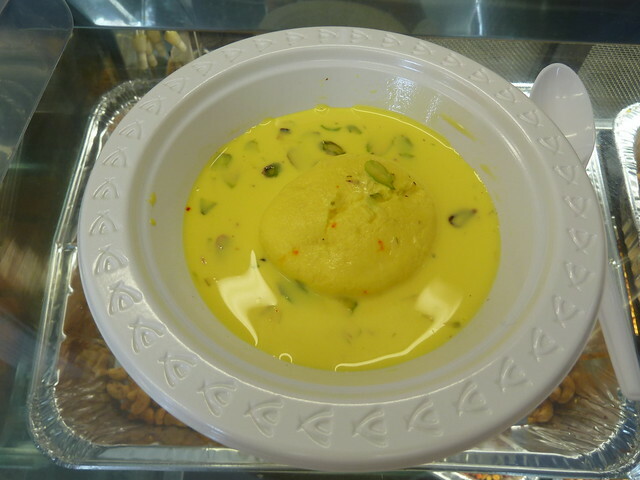 Venkat insisted I try this ras malai - a cool, spongy cake in cardamom-flavoured, sweetened milk. It was luscious. Here was my haul! On the left is ice-cream burfi, so called because it melts in your mouth like ice cream. This burfi really is sublime - it alone is worth the drive. How squee-worthy are these?! 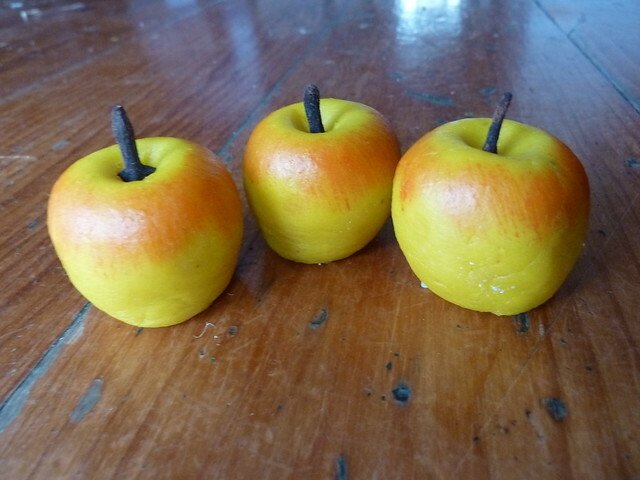 They are made of cashew paste (like marzipan), painted with edible paints and have a clove for a stem. They're actually quite plain in flavour, but aren't they just gorgeous to look at? Sweet India do a range of savouries like spicy masala cashews, crunchy fried chickpeas and lentil flour twists, but the one thing I saw everyone leaving with was a bag of samosas. 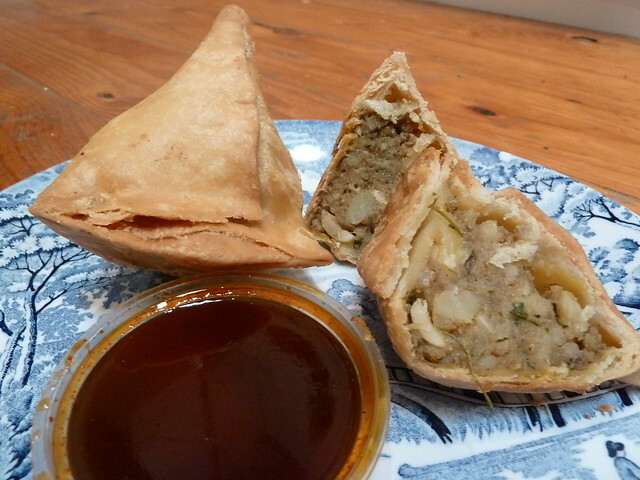 Yes, the filling may not look that enticing, but these are fantastic samosas, with chunks of potato and cashew, entwined with fenugreek leaves. Well, Sue, it took me about three years to act on your wonderful tip - but I made it, and Sweet India is 110% worth the drive! ...to Aangan. 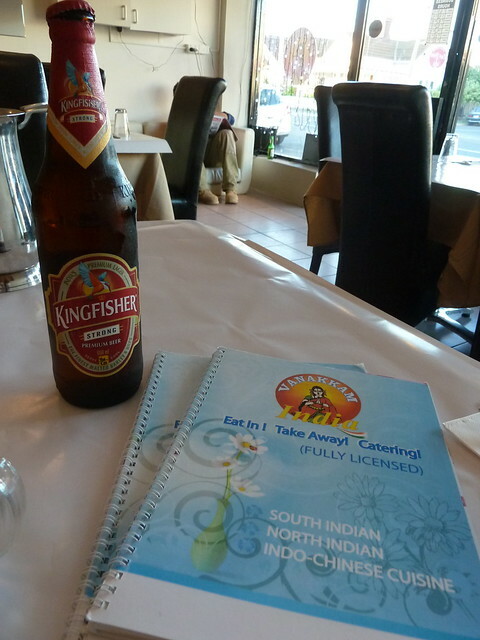 We enjoyed everything from a sumptuous Somali spread to a special-order-only South Indian thali. 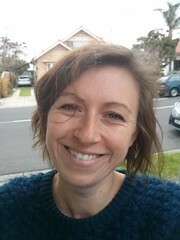 I have also been offering private tours throughout the year, creating custom tours for clients such as Lonely Planet, Second Bite, and a bunch of beautiful mums and bubs from Y-MAD (Yarraville Mums and Dads). I really value my apprenticeship with CAE in 2013. I have now resigned as a tutor and am exploring offering a suite of regular public tours in addition to my private tour work. 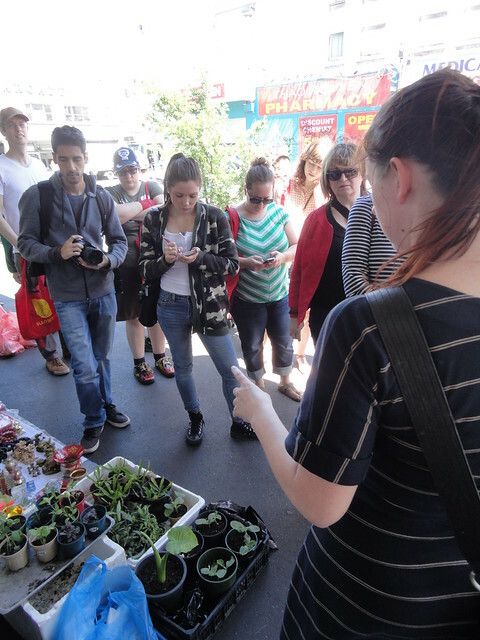 My first publicly available tour is coming up this Saturday, 18 January and is entitled Streetwise Snacks. Come and join me, and we'll sample the best streetside snacks the 'scray has to offer. 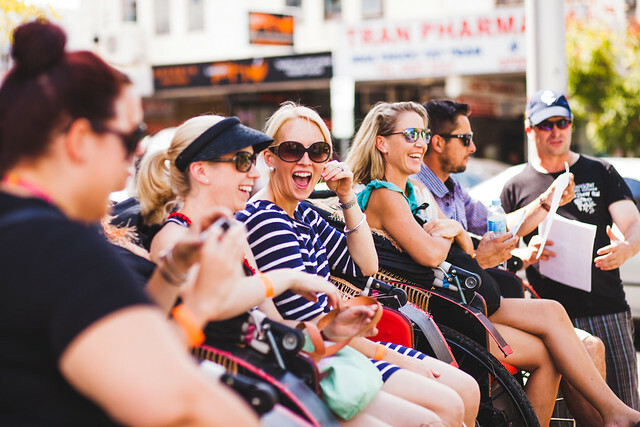 This tour is all about what you can eat on your feet when you're out and about. 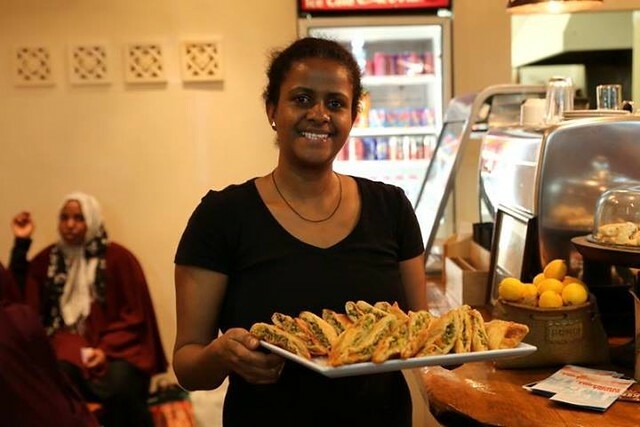 We'll sidle up to counters aplenty and gobble traditional Somali snacks, crisp Macedonian delights, yum cha on the go and more. 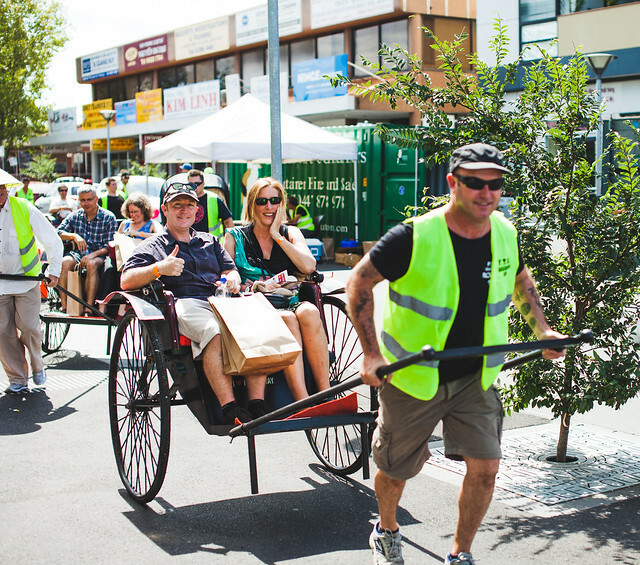 I first ran this tour as part of Maribyrnong Council's suite of Discover Footscray tours. At that time it was covered by Kenny Weir at Consider the Sauce, and Time Out magazine, who included it in their "One Perfect Day" summer spread. You should also check out the gorgeous gallery of tour photos on the Time Out website! The tour costs $60 (plus 30 cent booking fee) and goes for 1.5 hours, from 12.30pm till 2pm. 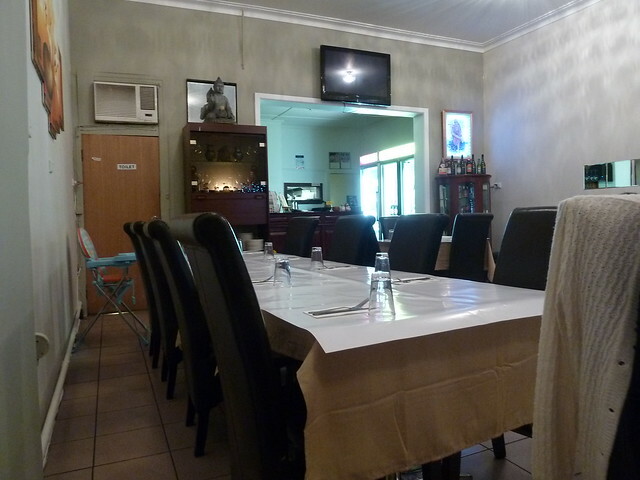 All food costs are included and there's enough to amply consider it lunch. If you think you are hungry afterwards, I will eat my bag. Book via the TryBooking link right here! And if you are interested in a private tour, you can contact me via the details this-a way. UPDATE, 16/1/14: This tour is now sold out! 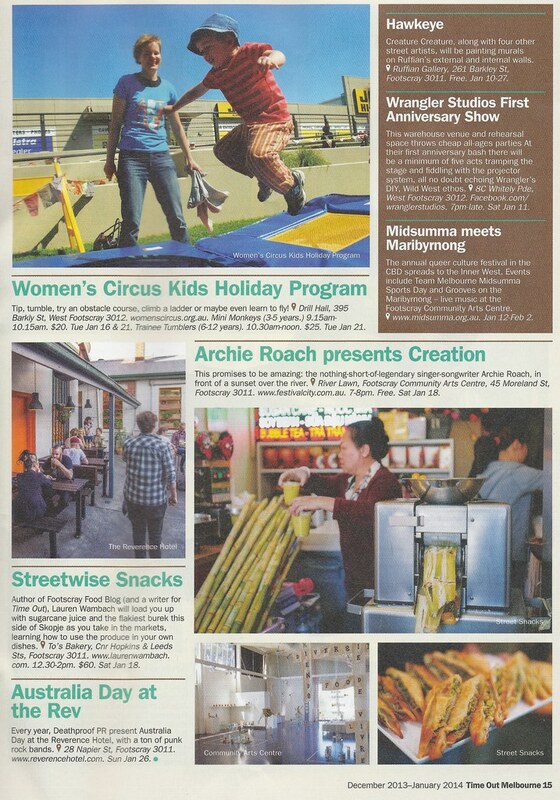 Please follow the link to add your name to the waiting list for the next time Streetwise Snacks runs. 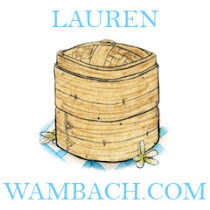 Alternatively, you can also email me on lauren@laurenwambach.com and I will make sure you are notified of the next scheduled date. 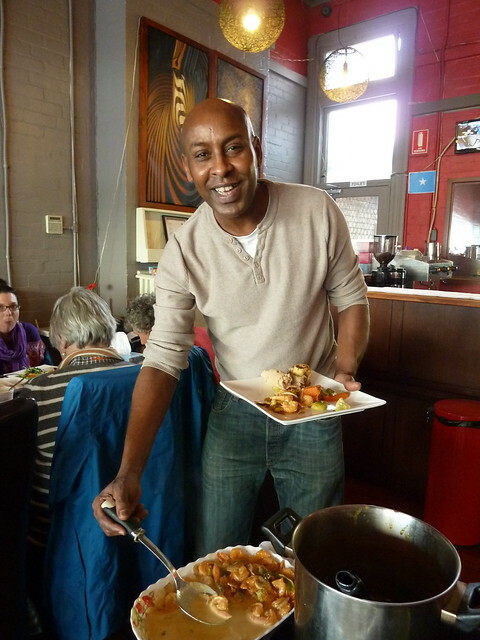 I first met Jagadish, the owner of Vanakkam, when I wrote a profile on him for my "Signature Dishes of Footscray" series, published on Footscray Life. He is a humble and lovely man. 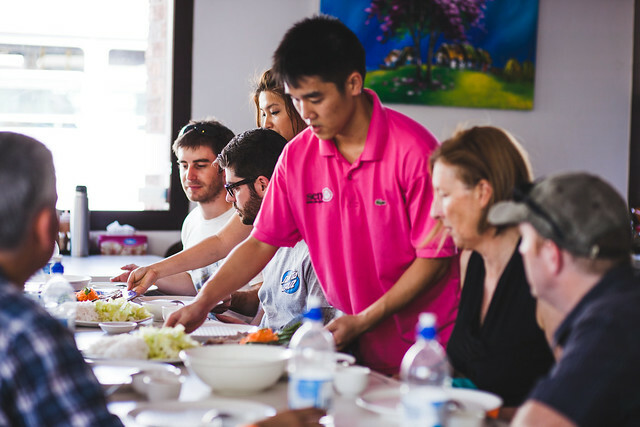 I was impressed by his commitment to quality, from-scratch cooking, as well as his generosity of spirit. He talked about helping a friend open an Indian restaurant just down the road. I asked if he was worried about losing business to new competitors. He smiled and said, "If we do our best, we will always get regular customers". After trying Vanakkam's specialties, I don't think Jagadish needs to fret too much about losing business. 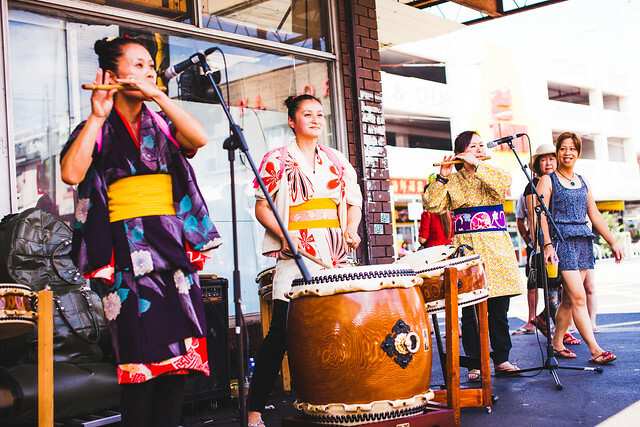 This restaurant's first incarnation was in Nicholson Street, Footscray, in the strip of shops now cut off by the Regional Rail works. 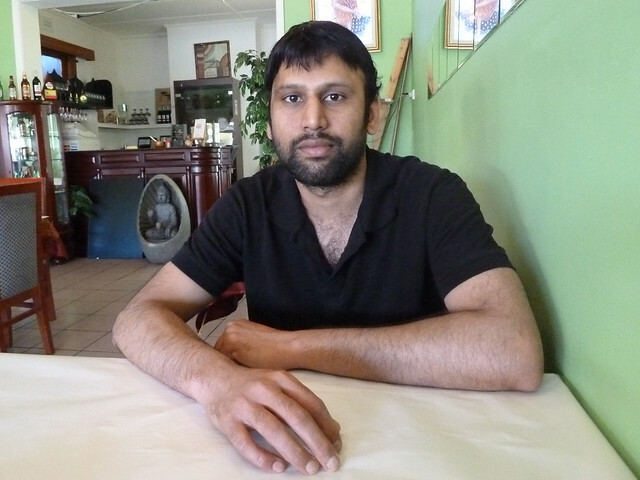 Jagadish was advised that those works were taking place, and decided to relocate in advance to Barkly Street, just over Geelong Road. Some folk do get a bit confused about what Vanakkam's specialty is. The name is a Tamil word meaning "welcome", chosen not because Jagadish is Tamil but because he and his business partner simply liked the word. 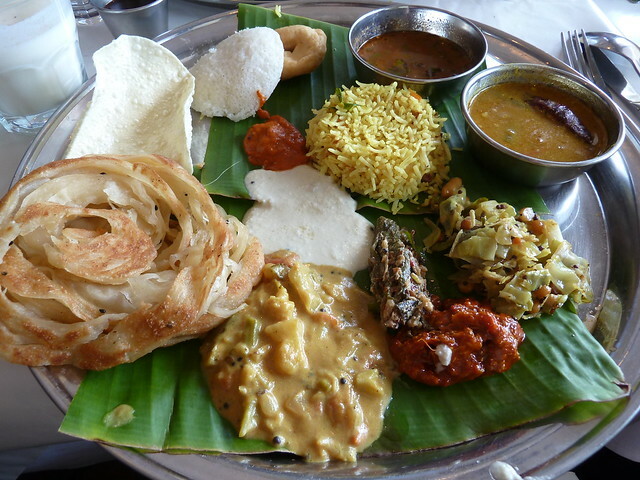 He is proud to offer confident renditions of south and north Indian fare, plus Indian-Chinese specialties. 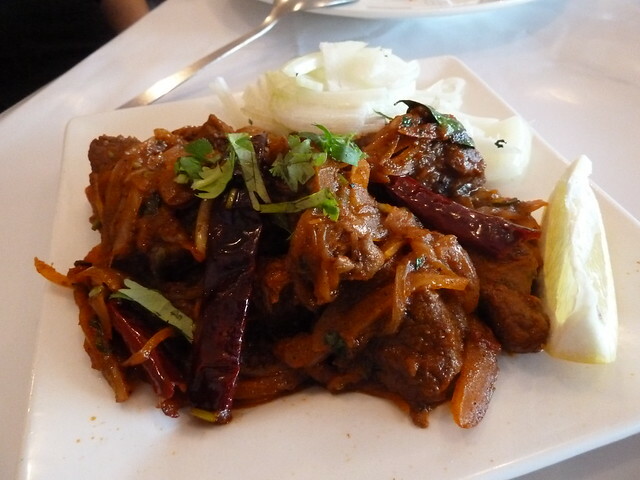 I love Indian-Chinese food. 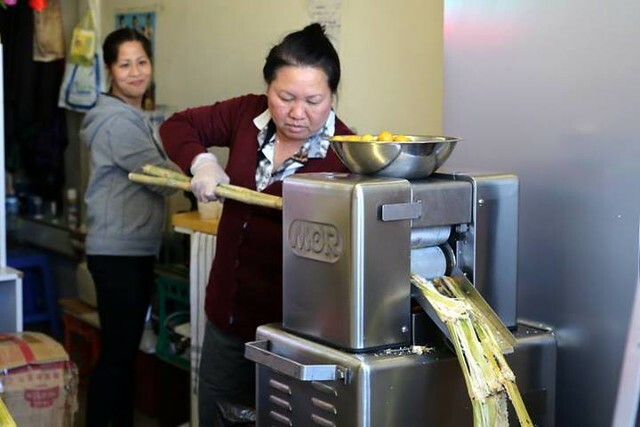 If you want the absolute real deal, you need to head to Golden Joy in Noble Park, which is run by Jimmy who is an Indian-born Chinese from Calcutta. 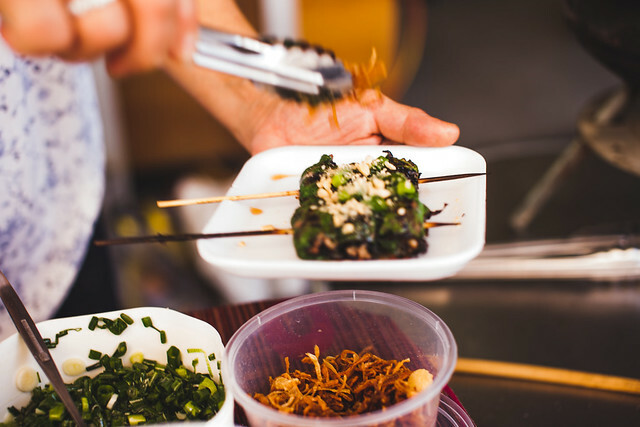 It is a real trip to be there among the waving cats and Chinese characters and order gobi Manchurian, battered cauli in sweet-ish soy-based sauce. 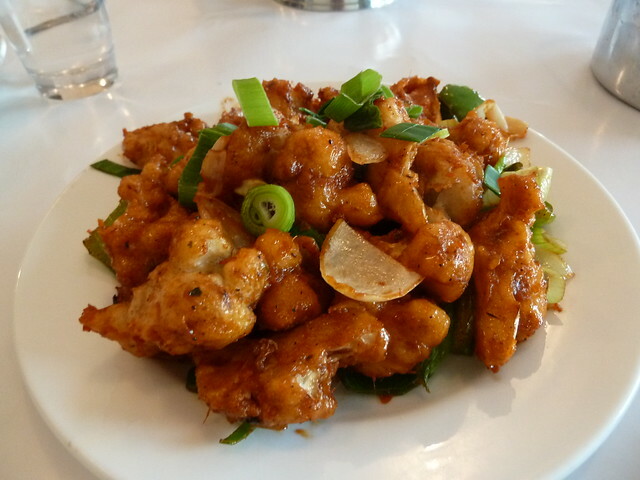 Jagadish's signature Indian-Chinese dish is ginger chicken, which starts with a sauce he makes himself by reducing lots of fresh ginger, garlic and soy to make a sticky sauce that hugs battered chicken. We went for the cauliflower version and it was unreal. We weren't so mad with this second entree - from the menu notes it sounded like it would be drier, but it was quite wet - chunks of lamb in a thick, tangy sauce, with lots of onion on the side. Nice but just not what we were after. 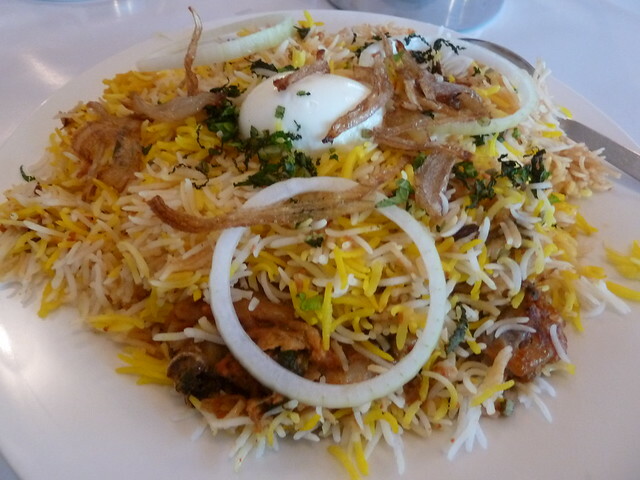 But the main event, and what Vanakkam is best known for, is its authentic Hyderabadi-style biryani. This is a delicate balancing act in which marinated chicken or goat is cooked with rice, spices and a very precise amount of water in a sealed pot. It's hard to get right and not end up with gluggy rice and dry meat. 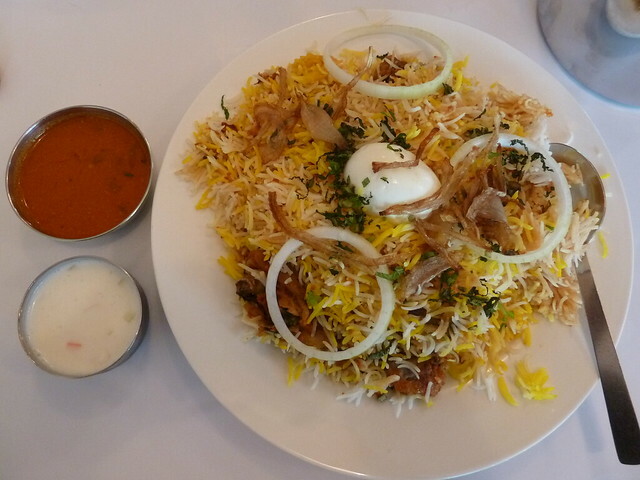 Vanakkam's biryani is simply gorgeous, the rice infused with whole spices and fragrant chicken flavour, and the chicken itself tender and delicious, still clinging to its marinade amid all the al dente white and yellow grains. A tender boiled egg, the contrast of bitey raw and crisp fried onion, plus a bit of raita and Jagadish's special curry sauce - YUM. 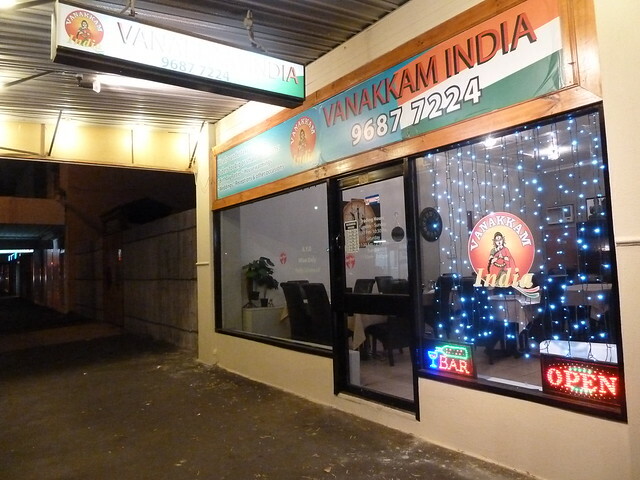 Vanakkam has become my go-to spot for Indian eat in and take away. The eat-in side could be a bit more atmospheric - it's often quiet and there's no music to fill in the gaps. But it has a nice new coat of silver paint and the food is worth it. While you're paying the bill, be sure to get some mukhwas, aka Indian breath freshener, made of sugar-coated fennel seeds and other goodies. Just pour a spoonful into your palm and shoot it back. Above Vanakkam's door is a sign that reads, "Cherish yesterday. Dream tomorrow. Live today". I could be cute and say it's all about yesterday, tomorrow and today's biryani dinners, but no matter what you want to apply to it, I think it's a beautiful philosophy to bring to any moment - day, month or year. Disclaimer: Owner of Post Industrial Design, Mary, is a friend of mine. So... The wheel (if you're a true Westie, you know what I mean) is out of service again! Apparently a window on one of the pods has cracked. Well, one pod you can rely on is Pod, the new cafe which has taken up residence in one quarter of Post Industrial Design. 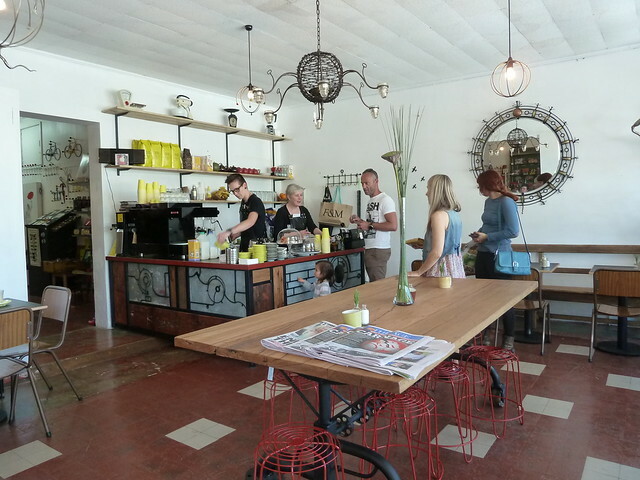 This bright and airy space has been created by Fi, formerly of Fidama, Misuzu's and Sourdough Kitchen, and her partner Jess, who has manned the pans at the Station and the Plough. 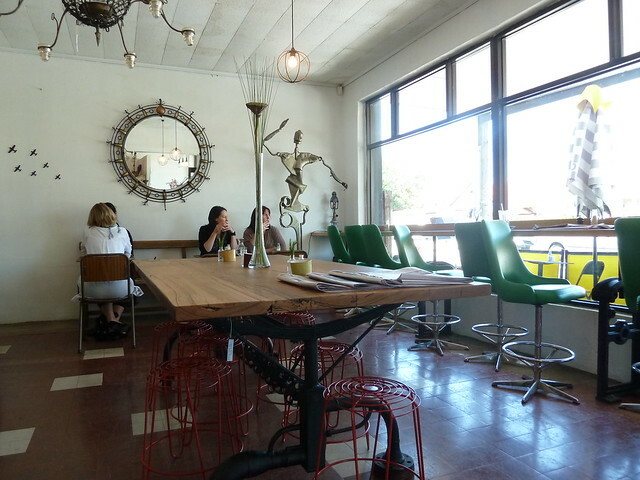 I've seen her friendly staff at local spots like Le Chien, West 48 and Sourdough Kitchen. Fi, Jess and team have been reportedly completely slammed since opening a month or so back. We assembled a group of girls to give the menu a good going-over. So PURTY! 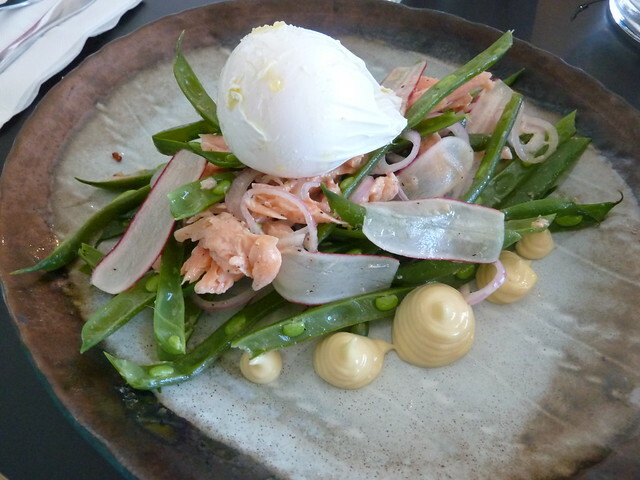 Smoked trout, green beans, radish, shallots, aioli and poached egg ($16). Seriously, this must be why all the movie stars are so slim. If I had a personal chef, I would eat stuff like this every day (versus good ole late-night cheese jaffles). 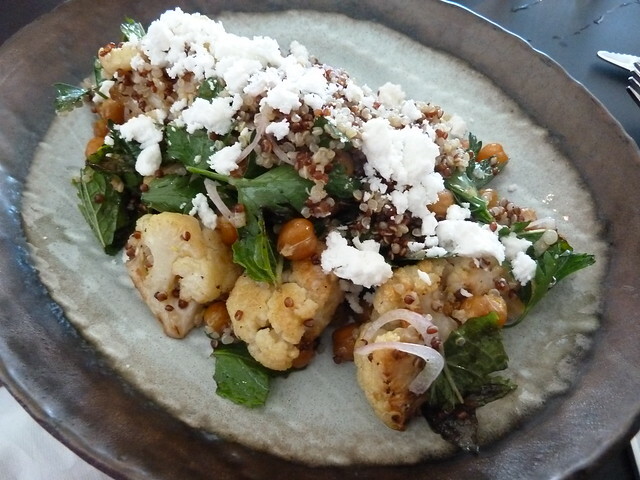 Cauli, quinoa and chickpea salad with herbs and feta ($14). 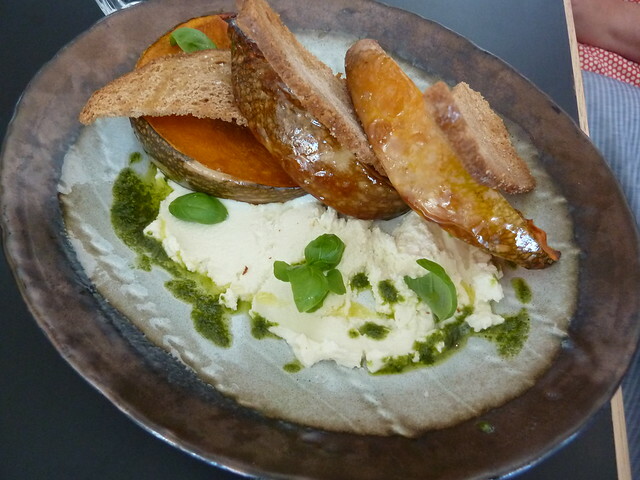 Another light and lovely brunch - roasted pumpkin, goats curd, pepita pesto and rye crisps ($13.50). 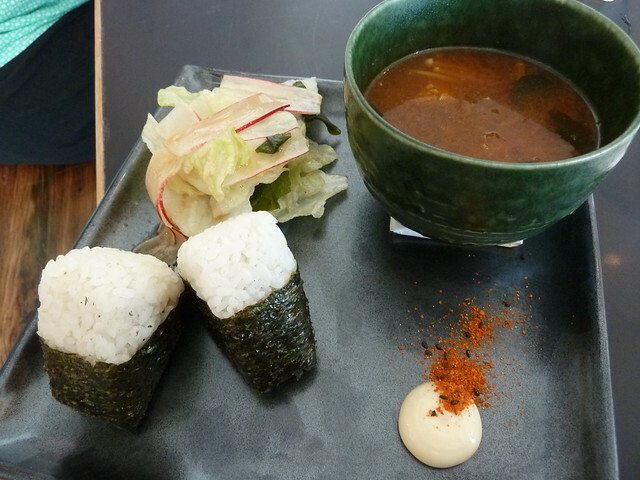 Something that perhaps recalls Fi's time at Misuzu's in Albert Park - miso, braised chicken onigiri (rice balls) and an iceberg and wakame salad ($17.50). 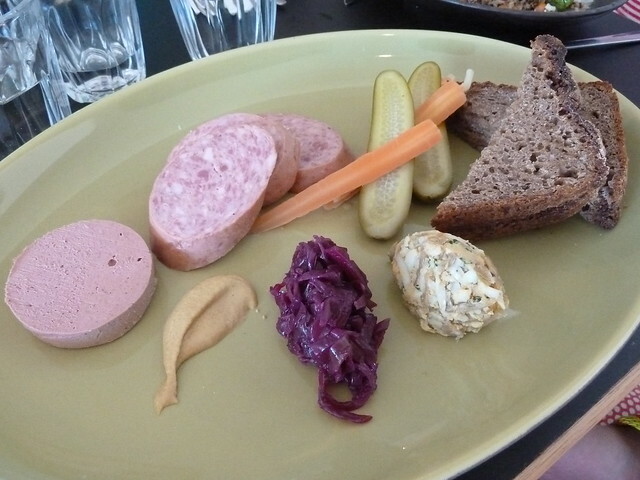 A "Polish ploughman", with various interesting sausages and smooshy things ($18.50). Everything was exquisite but one comment was that the portions are not very large. If you are after a light lunch, no worries, but otherwise you may end up feeling a little peckish after. This was my lunch and it was an absolute winner. 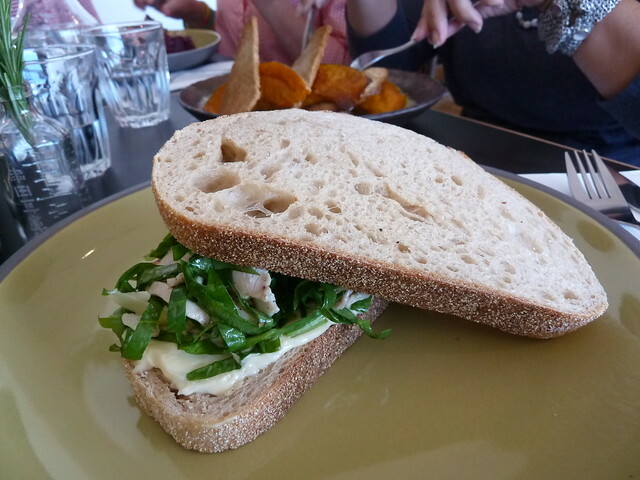 Poached chicken with spinach and "truffled pecorino mayo" on good bread. The chicken was soft and velvety, the mayo luscious, with little pops of bitey pecorino coming through now and then. I enjoyed every single mouthful. This is what to have if you're starving - or get one and split it as a side! And in this day and age, nine bucks for a premium sandwich is a bargain. 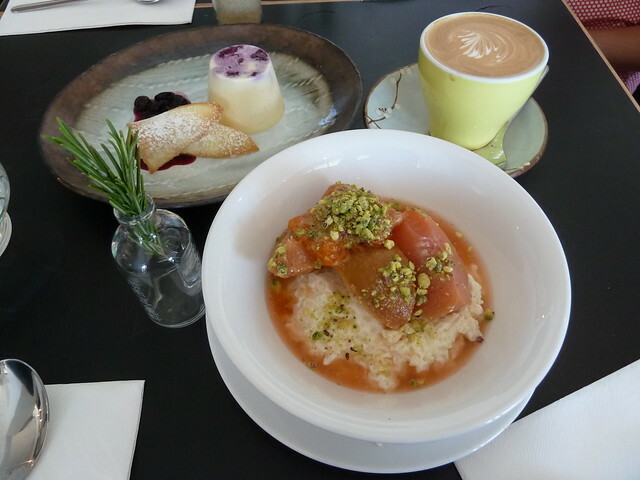 Anyway, the upside to a light lunch means - more room for dessert! From memory, these were specials of rice pudding and a blueberry pannacotta. They were absolutely heavenly. I snuck back a few weeks later for breakfast. 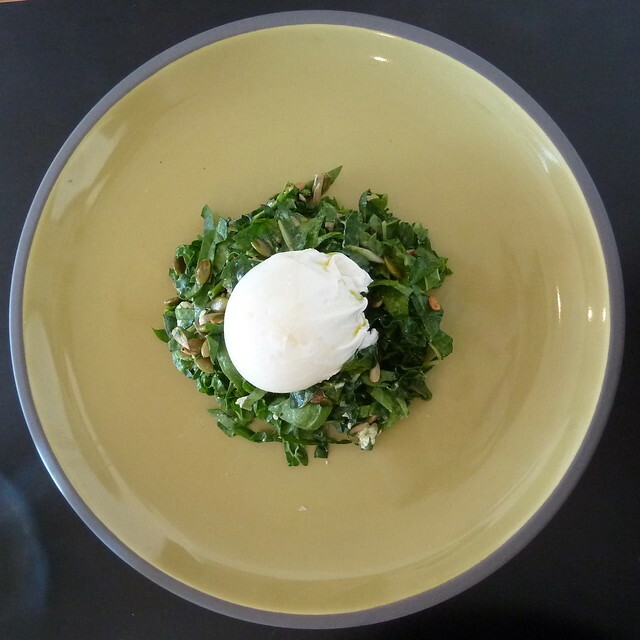 We umm-ed and aah-ed over this "breakfast salad" ($10, $12 with goats cheese). It was super light, healthy and so delicious. 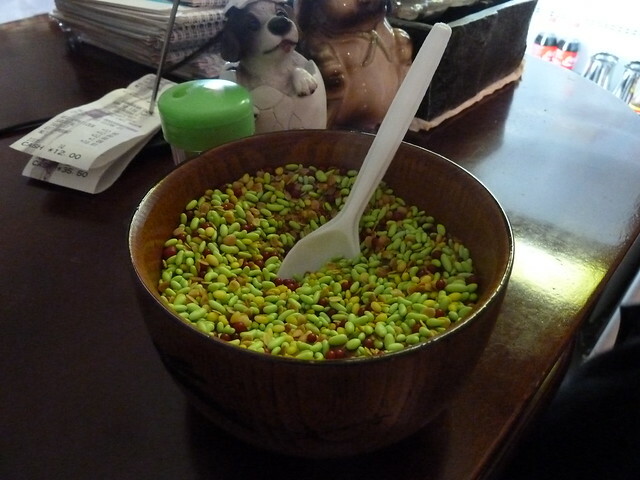 Loved the crunch of pepitas and sunflower seeds. 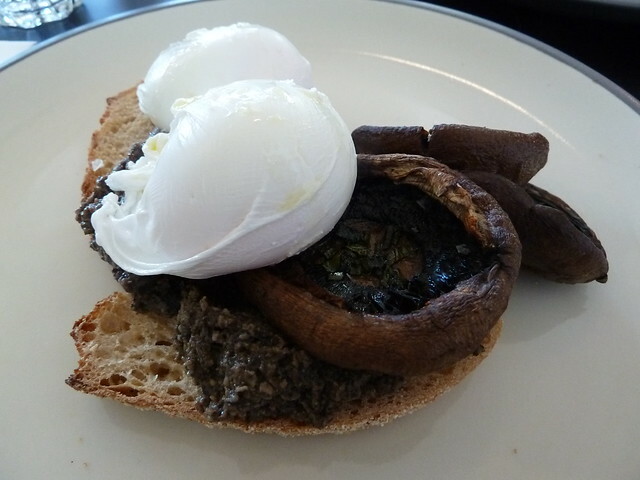 Poached eggs, "mushroom duxelles" (like a mushroom pate), baked mushies, sage and truffle oil. ($15.80) Really great. 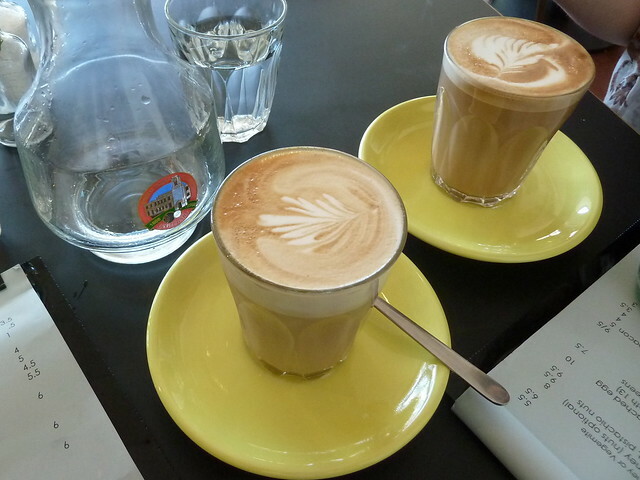 Coffee is from Niccolo beans and is satisfying. The chai is fantastic. 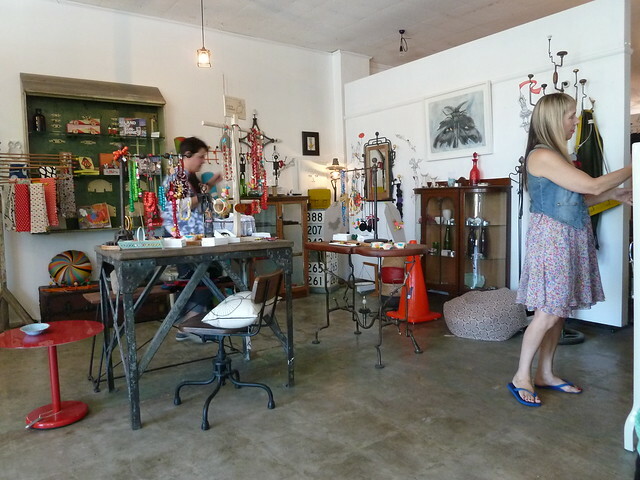 Afterwards, there's plenty of time to browse Mary's gorgeous offerings at Post Industrial Design in the adjacent rooms. She has lovely things - beautiful silk scarves made locally, jewellery so yummy it could double as dessert, and cards by Baby Guerrilla and Able and Game. And while we're in the neighbourhood, a shout-out to Andy of Rex hairdressing just across the street, who is a great girl, not just because I am currently rocking a new, short 'do by her. New year, new style, and I hope many new and exciting things for you...and me!